Swimmer’s ear is the main reason to wear a swim cap. It is an infection of the ear canal, acute external otitis or otitis externa, and is characterized by itching, redness, discomfort or drainage in the ear canal. You may also experience pain, pus, a feeling of fullness or muffled hearing. Using a swim cap to protect your ears while swimming may help reduce your risk of developing swimmer’s ear, since it helps keep your ears dry. While you should consult a physician before swimming with an infected ear, there’s a chance that he might allow you to swim if you show that you can properly protect your ears. 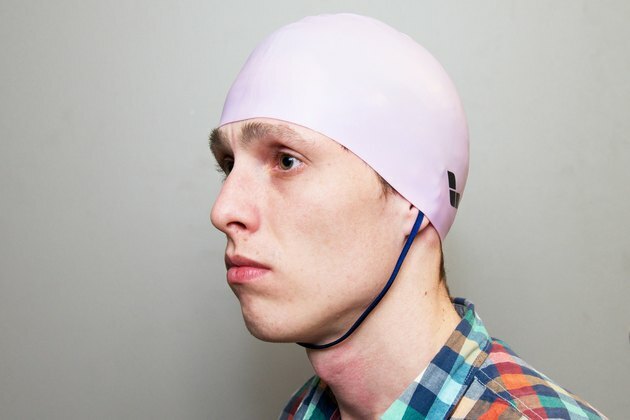 Purchase a swim cap designed with ear pockets. 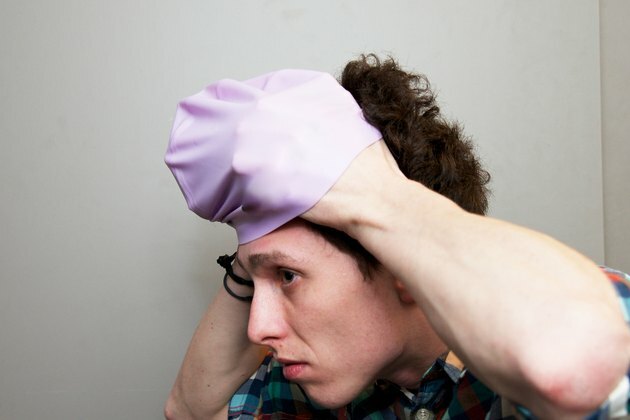 This kind of cap stands a much better chance of covering your ears in the first place, staying put over your ears and forming a watertight seal. Consider using a cap with a chin strap; this will also help the cap stay put over your ears. Put your swim cap on properly. 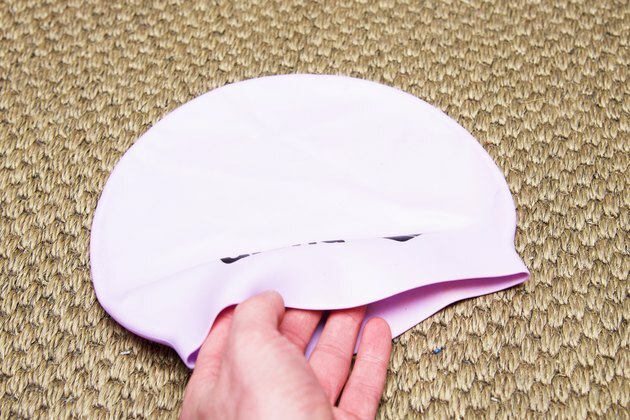 Place the inside edge of the swim cap against your forehead, then slowly draw it back and down over your head. If you have long hair, stop with the cap halfway on to tuck your hair under the cap, then pull it down all the way. Use waterproof earplugs, if necessary, to defeat the minimal amount of water that sometimes enters a swim cap no matter how hard you try for a waterproof seal. 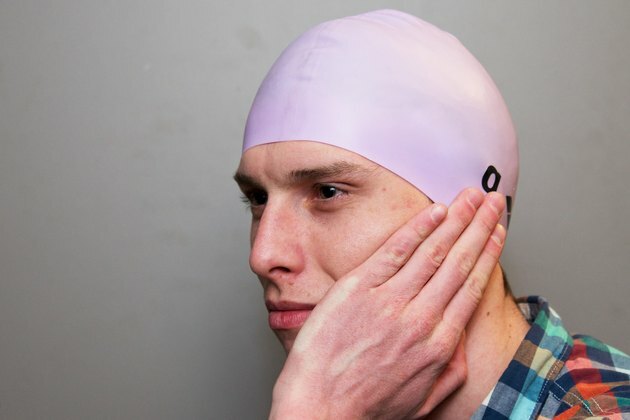 Avoid Lycra swim caps -- because they’re not waterproof -- unless you cover it with a waterproof silicone or latex cap that comes down all the way over your ears. Never tie your hair into a ponytail before putting the swim cap on, because this creates an unusual shape that’s likely to let water in; thus defeating all your effort to protect your ears.